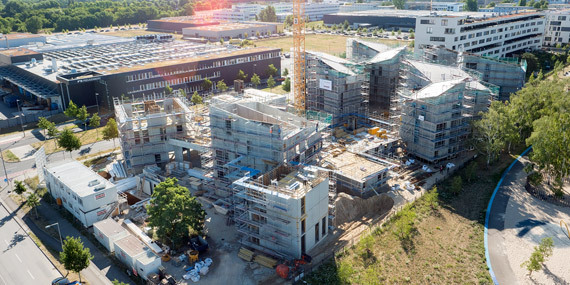 Within the 4.2 km² area next to “Wohnen am Campus” currently the quarters “Wohnen am Campus II”, “Straße am Flugplatz” and “VivaCity” at Eisenhutweg are arising. Here you find more information about the current projects (in German). 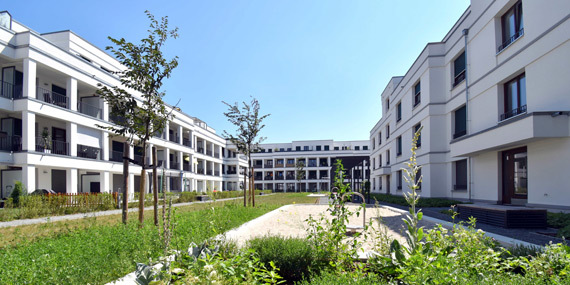 The Berlin mixture: Adlershof´s got it all. Real Estate, 2016.